Ok almost exactly a year later and we’re finally on to 2018 real wedding blogs! WOO! My goal for this year is to not get quite so far behind on blogging – think I can do it? ~Their heartfelt vows – not a dry eye in the house! They each wrote their vows and were so special! 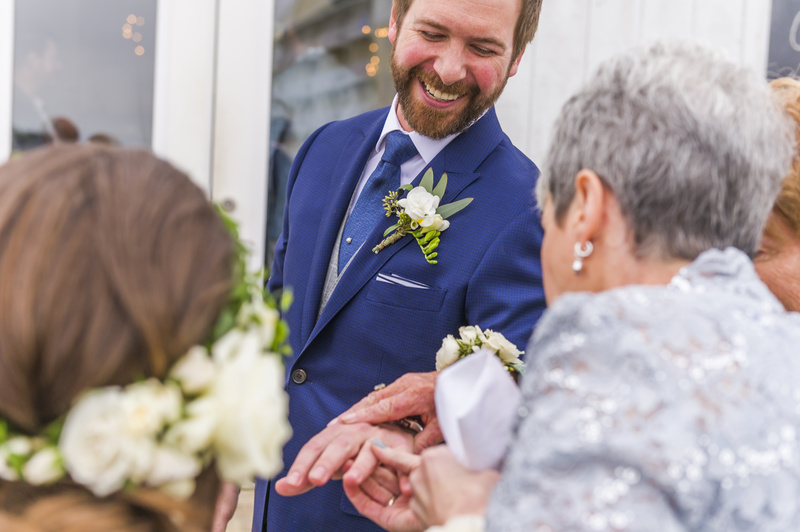 ~The incorporation of many Scottish traditions – during the ceremony they did the traditional pinning ceremony for Chelsea along with a blessing and other sweet touches! ~The Kerr Jars – The newlyweds’ married name? Kerr! So of course they provided Kerr jars for their guests to use as drinking glasses for the night! Those were just a handful of my favorite details – too many to list! The cocktail hour and reception were also in Kitty Hawk Pier, but Metro Rental also setup a small tent on the back deck of the pier to add a little extra space for mingling during cocktail hour! Catering was provided by the Hilton Garden Inn team and then after a lovely plated dinner, guests enjoyed some sweet treats – donuts from Duck Donuts and Key Lime Bliss cake from Great Cakes! The beautiful decor was by Bells & Whistles! I loved the mix of the tropical foliage with the super classic blue & white ginger jars! Chelsea’s bouquet was full of creamy white roses & lots of greens! The party was one for the books thanks to Three Sheets to the Wind! This “yacht rock tribute band” played all the crowd favorites and had the dance floor packed all night! 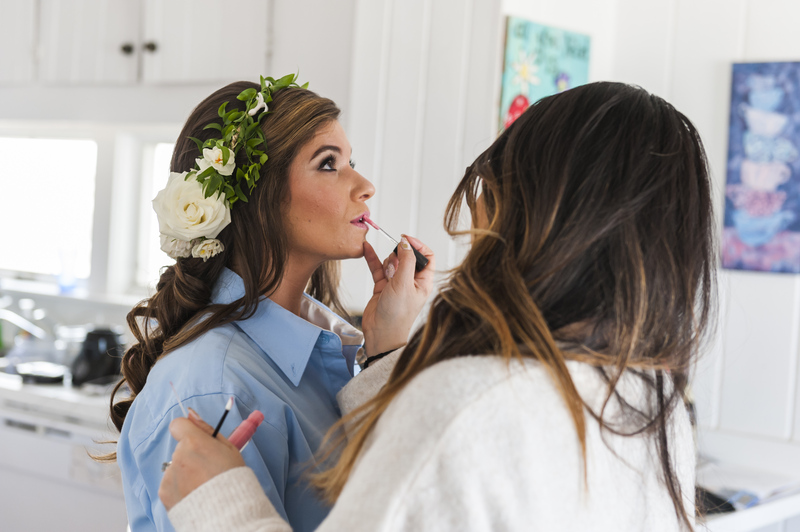 Thank goodness on hand to capture all of this magical day was Candace of Brooke Mayo Photography, as well as Twenty One Films Videography! Enjoy the photos & video below!